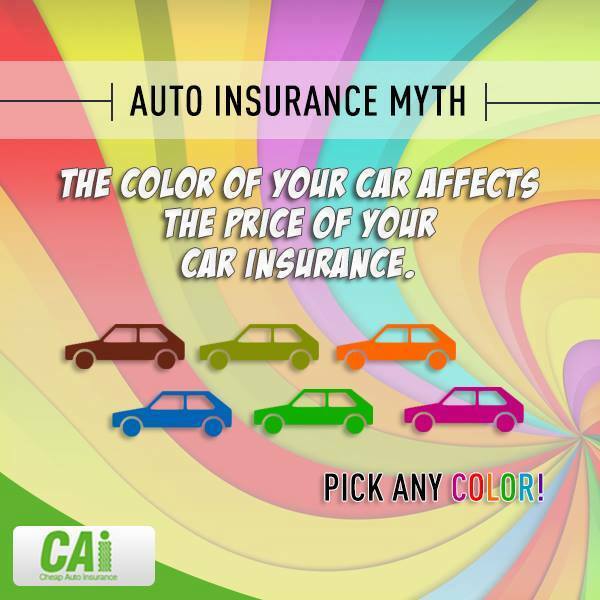 Auto Insurance Myth - Does the color of my car affect my car Insurance rate? Color of my car does NOT affect my car Insurance rate in anyway. Cheap Auto Insurance, Est 1985 Find Fast Low Cost Insurance Today! The road to savings begins here. How much will you save?